My hair loves protein but knowing the type of protein your hair love can make a difference between soft silky hair and dry brittle hair that will break if you just think to go near it! Check out this list of proteins and their benefits I did for The COCO Magazine! Protein is the building block of hair; it’s what gives hair its strength and structure. Hair is mainly comprised of a protein called keratin. Every time we manipulate our hair it loses some of its protein, this is something that cannot be avoided, for this reason, we need to replenish what we lost through the use of protein treatments and conditioners. Proteins are not only used to strengthen the hair, some proteins act as humectants, they attract moisture to the hair, others also condition the hair. It is in your best interest to pay attention to the type of proteins in your hair products; this can help you determine which type of proteins your hair loves best. You may come across the word "hydrolyzed" in front of a protein name while going through the list of ingredients, this means that the protein has been broken down into smaller molecules to better penetrate the hair. 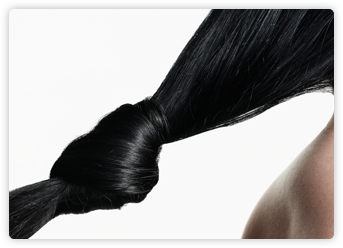 Take a look at some of the most common proteins found in hair products and their benefits. There is no need to fear the use of protein since it is beneficial to our hair. Always follow the instructions on the packaging when using protein treatments or conditioners. It is also necessary to follow-up with a moisturising treatment when using hard protein treatments. thank you for this, candice. definitely learned some new things! Hey, I tagged you on my blog today. Thanks for this!! I've never researched different types of protein, good stuff.